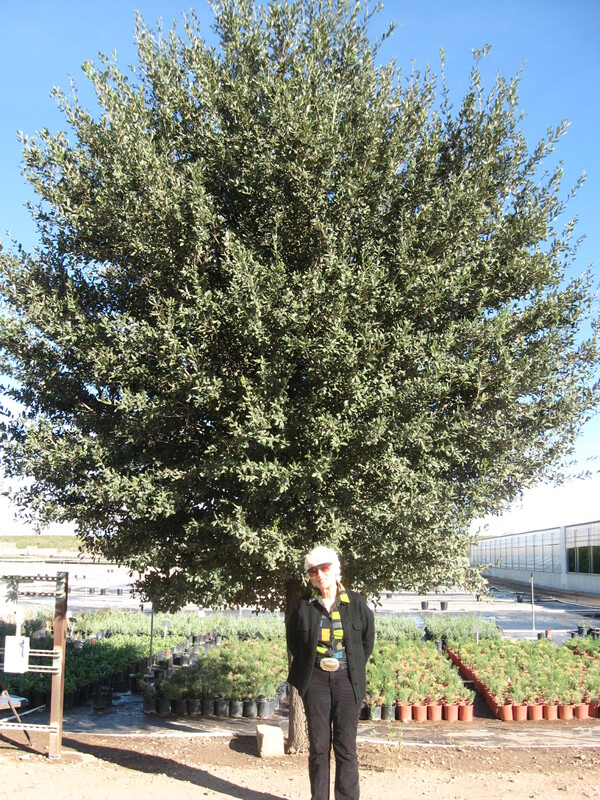 Tucson, AZ (July 27, 2015) – A new (patent pending) cultivar of Live Oak has been unveiled by Civano Nursery in Tucson, AZ named after Joan Lionetti, a founding member of the Alliance for Community Trees. Joan is Executive Director of Tucson Clean & Beautiful, and founded the Trees for Tucson program in 1989 to encourage planting of low water-use trees to provide cooling shade and energy savings in her desert community. Since that time, the organization has helped to plant more than 100,000 trees. This new oak tree variety, Quercus fusiformis, was once classified as a subspecies of the southern live oak (Q. virginiana). It was selected and bred over the course of a decade by locally owned Civano Nursery in Tucson, AZ and was unveiled at the Tucson Clean & Beautiful annual meeting. The varietal was developed to meet the unique conditions of the arid Southwest, including tolerance of higher soil pH, drought, and temperature extremes. Its low to moderate water use, evergreen appearance, moderate growth, and tolerance of full sun or partial shade also make it an excellent option for residential use, streetscapes, and other community spaces. 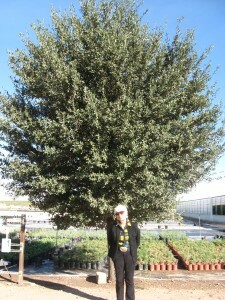 The very first Joan Lionetti live oak was selected from many oak seedlings at Civano’s growing farm. It grew faster than the others, and had an upright form with a straight trunk and a dense, symmetrical canopy. This oak variety is grown from cuttings to ensure each tree exhibits these characteristics. Learn more about Tucson Clean & Beautiful and the Trees for Tucson program and about Civano Nursery.